Sprint hasn't even begun rolling out its LTE network yet, but we've already seen the plans for the network coverage, a few LTE-enabled devices, and now we're finding out that Sprint is planning to continue its unlimited data plans even once its LTE network lights up. This probably shouldn't be much of a surprise, because Sprint has been living and dying on its unlimited plans, and has been offering unlimited data on its pseudo-4G WiMAX network. So, changing that strategy would put the carrier at an even bigger disadvantage than being so far behind in building an LTE network. Earlier today, Sprint announced the LG Viper would be going on preorder on April 12th, and that will also be one of the first LTE devices for the carrier. The lower-mid-range Android phone will be offered for just $99, and right in the opening of the announcement of the device, Sprint says that the phone will combine "the Sprint 4G LTE network and unlimited data plans". Interesting that the confirmation of unlimited data plans on LTE was announced in such a muted way. We'd expect that Sprint would want to make a bigger deal of it, but maybe the carrier wants to actually have an LTE network before touting its features. It says "outs", as in "reveals". You are thinking of the word "ousts"
I agree, "Sprint outs unlimited data on new LTE" seems like sprint is not continuing with unlimited data. It is just bad phrasing. Use unveils, reveals etc. 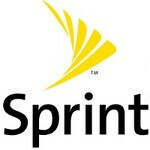 So is this going to be Sprint's first LTE device? I was under the impression that the Galaxy Nexus was when Sprint said " Introducing the Galaxy Nexus, Sprint's first LTE device". Maybe they meant our first LTE phone after the LG LTE Viper. Sprint is a clown show. Kind of a harsh condemnation? lol, yeah, that is true....they do a comparison of SPRINT 3G and dial up 56k. only makes sense. Its cheaper and more efficient to serve up LTE data than 3G. Dont let Verizon and AT&T fool you, they are ripping you off if you have a smartphone through them. Does anyone here actually get more than 800k download Speed on Sprint? I"m in denver and i travel for my job, i can't get 800k anywhere. Network Vision is rolling out too slowly. ATT and Verizon get 2-3mb on a regular basis. Who really needs 4g when you have those speeds? Most do not. You don't need 10mb+ download speeds on a phone. I can't think of ONE reason why you would.